Hello all! 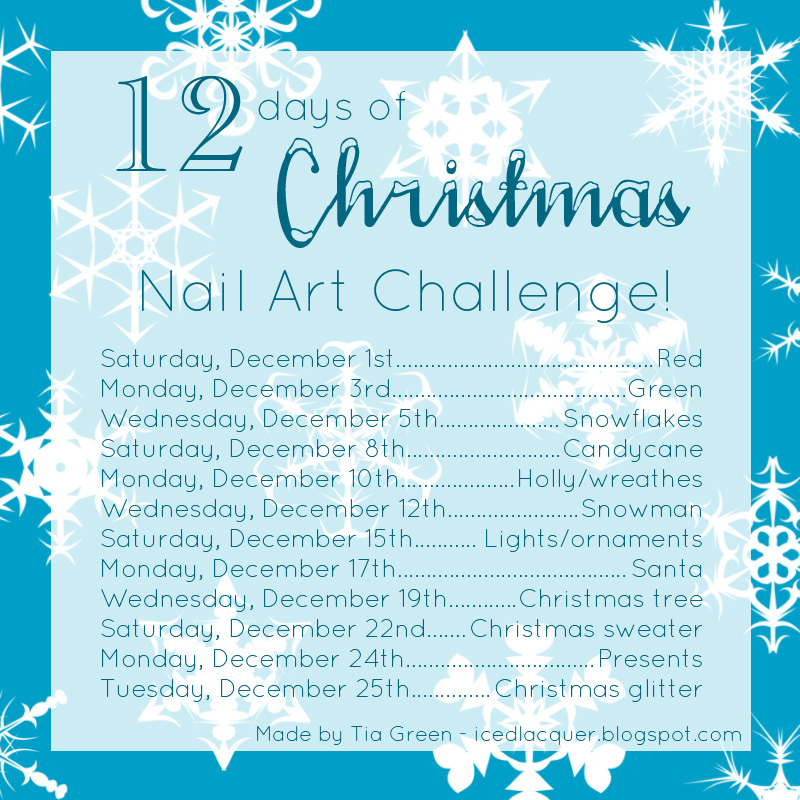 Today is Day 2 of The 12 Days of Christmas Challenge and the theme is Green. I didn't have a lot of time today since it's my first day back at work in about a month and a half. Today I did a simple glitter gradient using a base color of China Glaze Running in Circles and the glitter is China Glaze Glistening Snow. Thank you! I am really loving the Cirque du Soleil collection. This is so cool! LOL I used that same green for my day too! I looooove Running in Circles. It's such and awesome green.